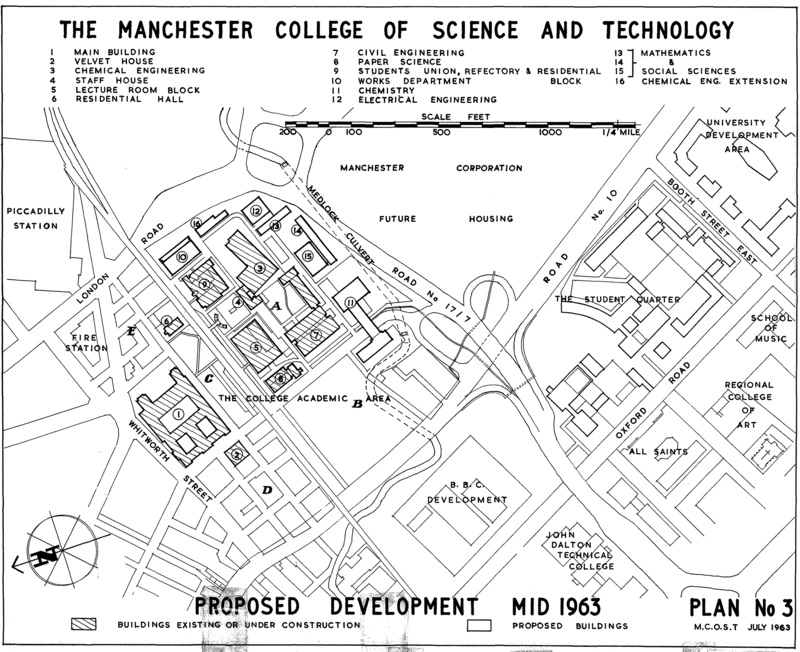 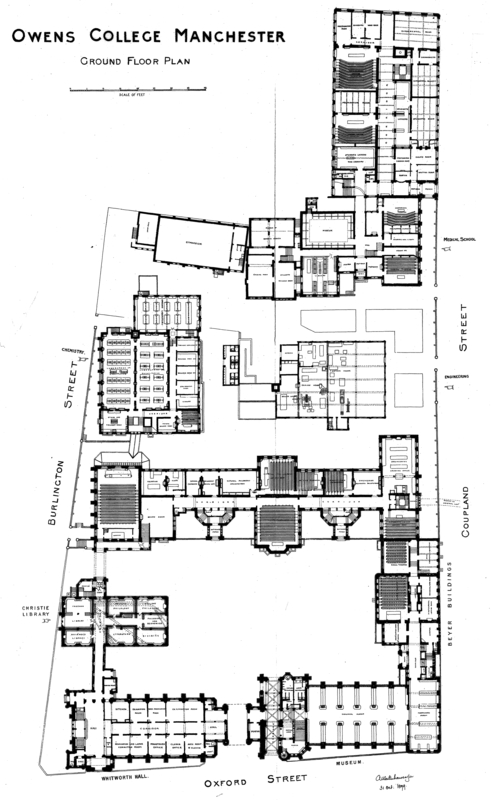 Here we present a selection of seven campus maps and forward-looking development plans that show the University of Manchester, and allied education institutions, at different time snapshots through the twentieth century. 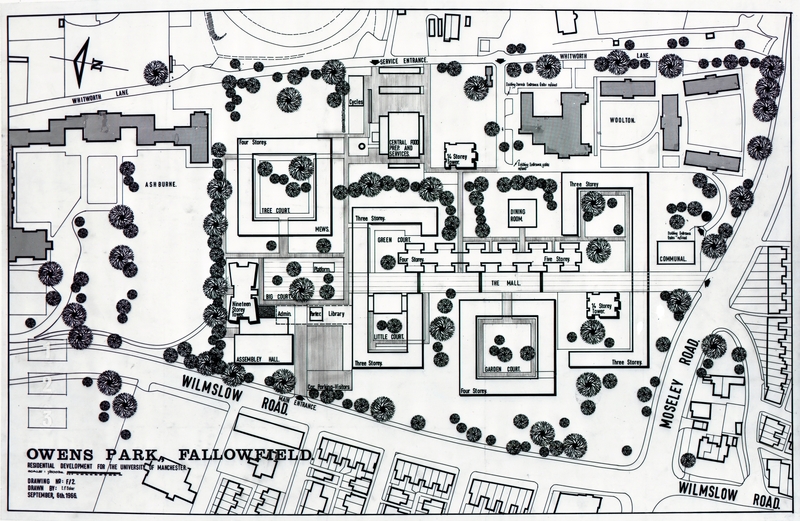 This is a small sample of the materials being gathered together for the Mapping University History project, funded by the Development and Alumni Relations Office and supported by the Library and Estates Department. 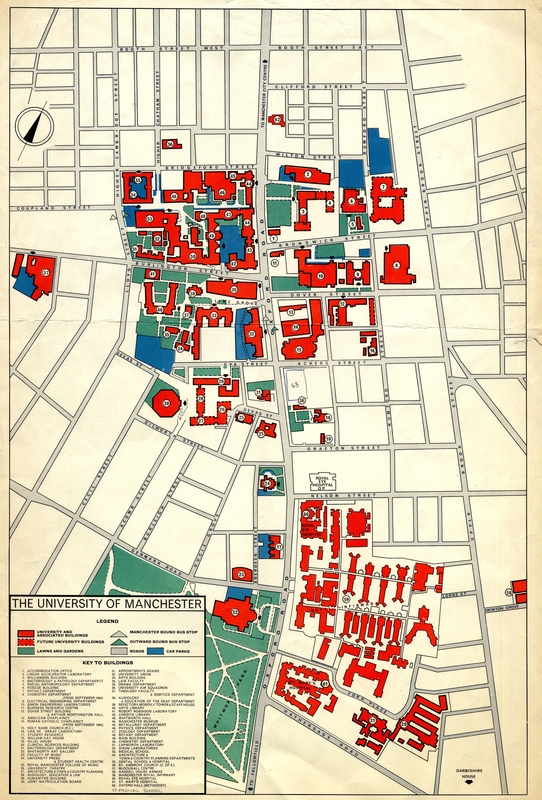 The goal of the project is to build up a rich cartographic chronology of original campus maps and development plans that will provide people with a way to comprehend the growth and change of the University. 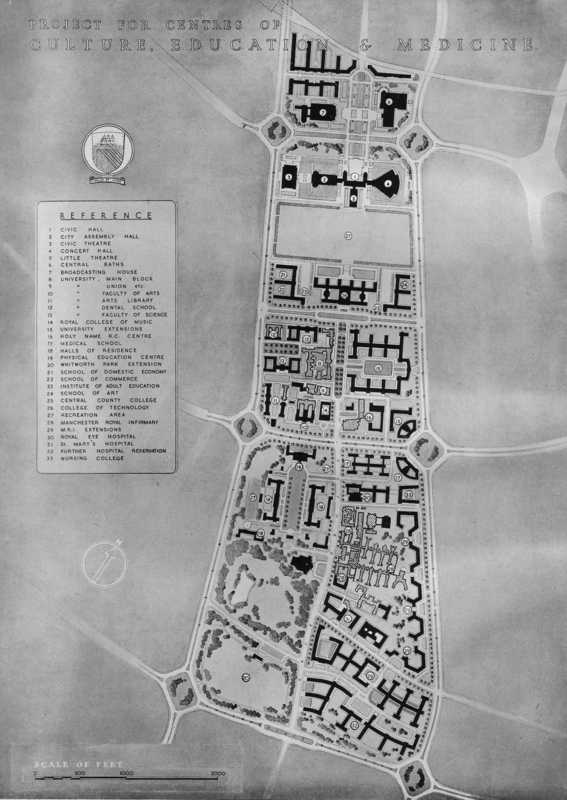 More results will be posted on the Heritage blog in the future.